We also got some great ones of the kids together! These photos were taken at a local farm run by some old friends of ours, and the scenery was just beautifully rustic…from the barn to the silo to the cotton field…I loved it! And our sweet friend Shannan took them which makes it even better. I’m so glad we finally got some family pictures done! Halloween is a bit of a confusing time for me. Growing up, neither my family nor Gabe’s family celebrated Halloween due to the connections with questionable religious practices. We didn’t trick-or-treat, carve jack-o-lanterns, give out candy, any of it. So when we had kids, we carried the tradition on. I would dress them up in costumes for church fall festivals and the like, but we didn’t do any of the traditional Halloween stuff. However, I dawned on my last Halloween: if Jesus were living in an American neighborhood in 2015, would he really be hiding in the back of his house with the lights off avoiding all the children who knocked on his door? Well, that’s a no-brainer! NO, he would not. What was less obvious was what he would do? I spent some time praying and decided that I wasn’t going to hide this year. So, we participated. Not heavily, but I wasn’t going to pass up the opportunity to shine the light of Jesus when I had children knocking on my door. So, we had several family firsts this year when I comes to Halloween. We carved a pumpkin. We did not make a jack-o-lantern, but we carved a pumpkin. After some hunting on Pinterest, I found a pretty quality idea and ran with it. I also used the time to share the gospel of Jesus when my kids while we carved the pumpkin. You can do a google search for that and find all kinds of guides and activities, but I just winged it. We carved a cross in the front of the pumpkin, and then I carved it so that “JESUS” would reflect on the wall behind the pumpkin. I think the kids really enjoyed seeing the inside of the pumpkin and watching the carving take shape. and here is how it looked in the dark. The J didn’t show up as well as I had hoped, and I’m not exactly sure why, but maybe I can try again next year and reverse it…put the cross on the back. We will see. I also decided to add a Bible verse to my candy. I know that I live in the Bible Belt and most people are familiar with Scripture and Jesus, but I still felt compelled to add some of God’s Word to what I was giving out. So I created a simple Word document with a Bible verse about fear, printed it on some labels I already had at home, and stuck them to the candy. I was pretty pleased with how it came out overall. If just one of those stickers makes a child or a parent open their Bible or say a prayer, I would be thrilled! The kids really enjoyed giving out the candy. C was THRILLED the whole night and stood by the door watching for more kids. B started out pretty scared, but eventually warmed up and really loved handing out the candy as well. I’m glad I “participated” in Halloween this year and will be praying about how we should participate next year. Our church had their second annual Fall Family Picnic complete with old fashioned family games, cake walks, hay rides, and pumpkin giveaways. We had a ball and were completely exhausted when it was over. My kids look forward to this every year! B was sick on Friday night and Saturday, so he was very nervous that he would not be able to go. But he was better and able to make it to church and the picnic. It’s always fun to spend extra time with our church family. I love to cook and bake, but I HATE meal planning! So, I don’t cook as much as I should…due to the hatred of meal planning and not planning as I should…and we eat out more than is good for us. But over the course of my blogging, I have shared lots of my favorite recipes, so I will recap them here. I’ll start with some of my kids’ favorites. Disclaimer: I have never claimed to be a great food photographer! So just keep that in mind. These recipes are much yummier than my poor photography skills will give them credit for. 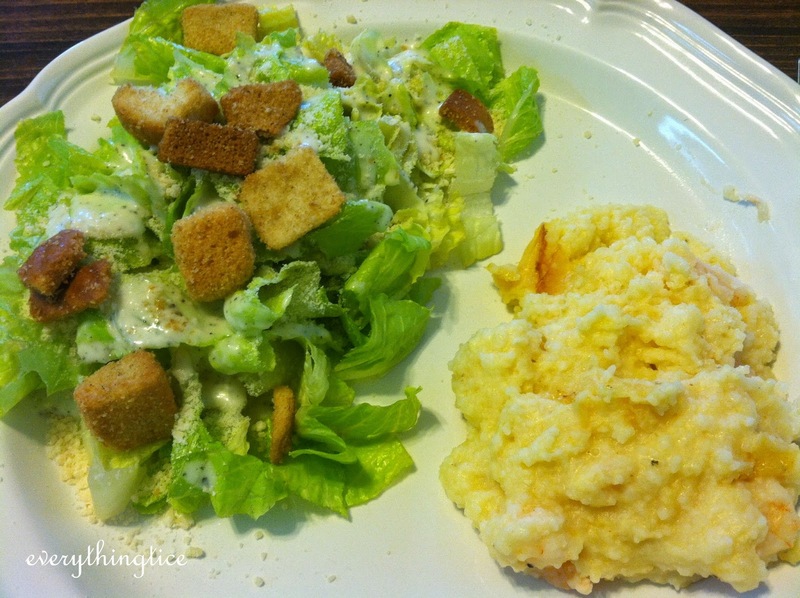 Crock Pot Cube Steak–this is a ridiculously easy recipe that is B’s all time fave right now. Serve it with some rice and a veggie, and you’re good to go. Crock Pot Lasagna–so easy and great for a night when one of the kids has a ball game or event. 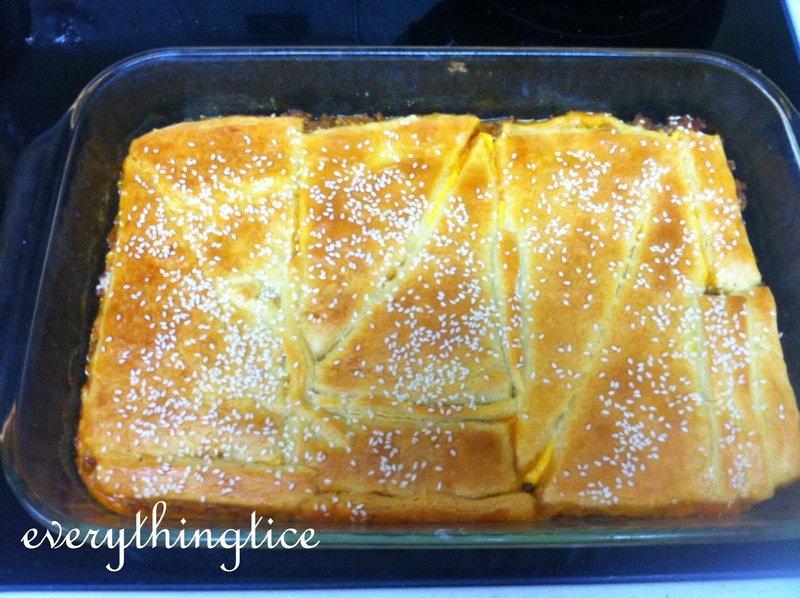 Crescent-Topped Cheeseburger Bake–another easy crowd pleaser that I think most kids would love! Italian Chicken–it’s a one dish wonder that is flavorful, tasty and super easy. 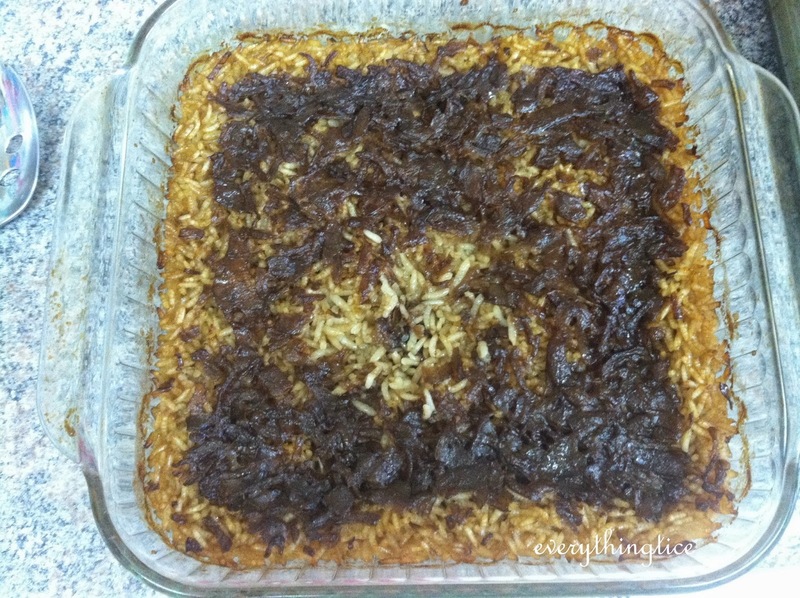 The Easiest Brown Rice–a popular side that the Hubs loves! 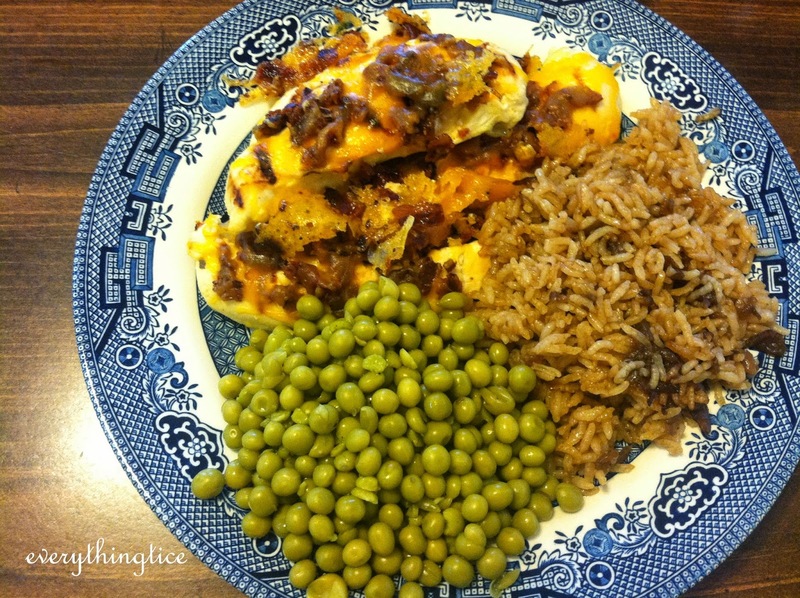 Smothered Chicken–be sure to use a GF Italian dressing or make your own to keep it gluten friendly. This is especially yummy with the Easiest Brown Rice from above. Baked Shrimp and Grits–you really can’t go wrong with this Southern, coastal classic. And making it as a baked casserole is just a win-win! Serve it with a salad for dinner or enjoy it for breakfast (if fish for breakfast isn’t too weird for you). 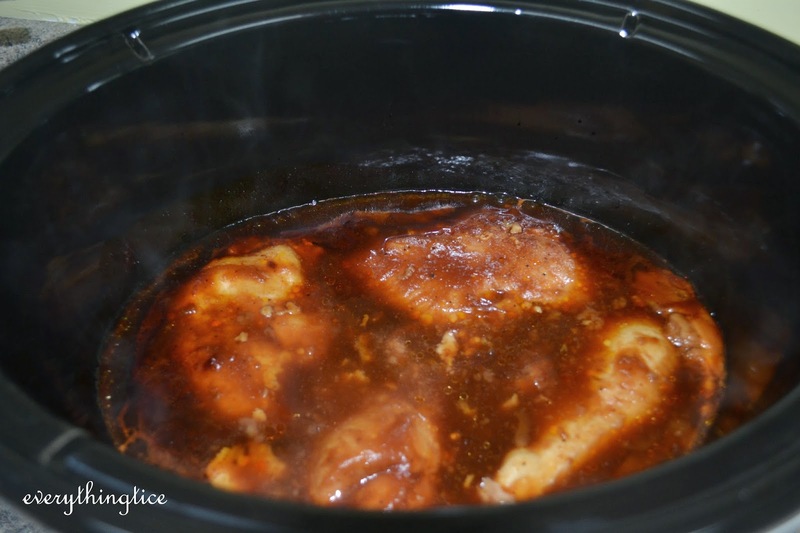 Sweet Baby Ray’s Crock Pot BBQ Chicken–I love that this bottled sauce is gluten free and can be doctored up and so yummy for an easy slow cooker meal. And the Italian Chicken from above is also a Gluten Free option as long as you check your seasoning packets and make sure they are GF. Since the holidays are right around the corner, I’ll share some of my family’s favorite holiday foods as well. 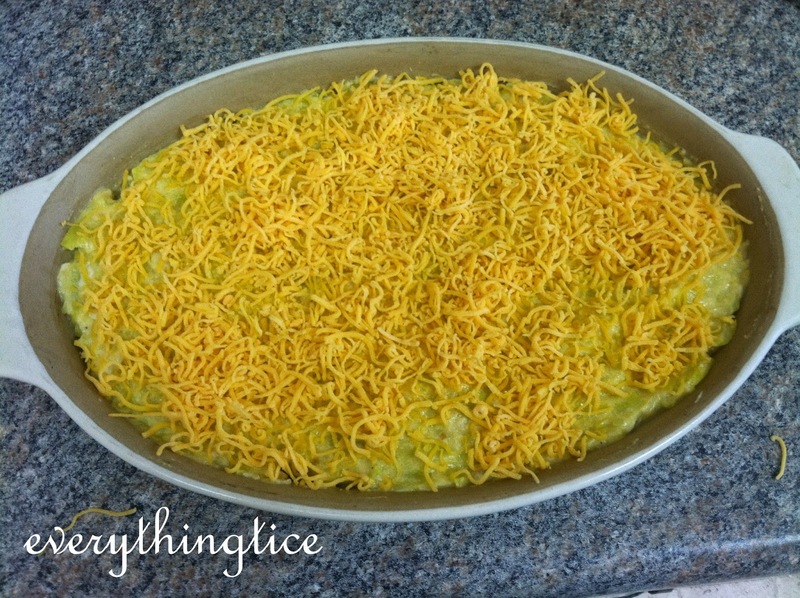 Squash Casserole–it’s just not Thanksgiving without it! Chocolate Derby Pie–this is my kids’ favorite dessert during the holidays. It’s like a brownie in a pie crust. So. Good! Red Velvet Cheeseball–this has been a hit at every Christmas party I have taken it to. But who doesn’t like red velvet cake, cream cheese, and chocolate chips? Well, there you have it. Some of my all time favorite recipes. Most of these are pretty much no-fail crowd pleasers, so give one a try! I can’t wait to read everyone’s recipes and give some new ones a try. I’m linked up with Andrea and Erika for Let’s Talk! THEY DID IT! B was on the Galaxy soccer team this year, and they won the championship tonight! B loves playing soccer and had a blast being on a team with several of his friends for the first time! The championship team got rings. You read that right…rings. I can’t even. B is completely beside himself…as you can see in his squeezing hug on bestie S.
He was so excited I barely was able to snap a picture of him getting his ring from his coach! Fortunately we had a friend offer to snap a picture of us with the champ and his ring! B absolutely loves playing soccer, and I enjoyed watching him finally have a successful season…so many of his teams have been more “Bad News Bears” than winning team. It felt good for him to have a good season. I can’t believe my baby boy is eight years old! Where have the years gone? It seems like just the other day that we were bringing him home from the hospital! I did this little collage of him at every age from birth to 7, and I just can’t believe how much he has changed and how much he has stayed the same! Bowden is a very kind-hearted boy who can’t handle feeling any sort of guilt or feeling of wrong-doing. He works hard at his school work, but loves to play NCAA Football on the Play Station. He loves playing soccer and baseball and has really become a Daddy’s boy as of late. He is so smart and works hard at his school work but also puts up a bit of a fight with it sometimes. He is a good friend who loves fiercely and defends his friends strongly. I am so proud of this boy and the young man he is going up to be. Happy Birthday to my Pookie Bear! He is without a doubt the best birthday gift I have ever gotten. B and Me: Four Parks in One Day! WE DID IT! B and I had set a goal to go to all four Disney Parks in one day for our birthday! And we did! It was such as amazing day, and I can’t wait to do it with the Hubs! Here is how it went down. We were up and at ’em pretty early that morning and at the bus stop by 7:45 so we could catch the 8:00 buses. B and I were headed to Animal Kingdom first, and the Hubs and C were going to spend the day at the Magic Kingdom where B and I would meet them at the end of the day. I snapped this picture of us waiting for the bus to prove that our hair had been fixed and that we did look pretty good when we left. I knew that would not be the case when we got done! So we arrived at Animal Kingdom by 8:30 and were allowed to go on in and head toward the Africa section and stop at the roped off area. I had a PhotoPass photographer snap our picture in front of the Tree of Life before we got all the way to Africa. We headed straight to the Kilimanjaro Safari for our first ride of the day. I love that ride, and it really is a new and different experience every time to ride. And then we hopped the bus to Hollywood Studios. I really wanted to ride Expedition Everest, but B chickened out on me. Our FastPasses for the day were at Hollywood Studios, so we had times for Star Tours, Disney Jr. LIVE on Stage (We stopped for a visit with Jake after this show), and Rock N Roller Coaster. B wienied out on me for RnR as well which I was pretty upset about because that meant we wasted a FastPass and had to stand in line for an hour for Toy Story Midway Mania. But I recovered from my disappointment, and we persevered through our time at Hollywood Studios. B and I did something new this year…we took a ferry from Hollywood Studios to Epcot and used Epcot’s International Gateway entrance which were both totally new experiences for me. The ferry was slow and very hot because there were 100+ people crammed on that thing with no air flow, but it was a nice break and rest for our legs and feet. By the time we got to Magic Kingdom, it was pouring down rain. I had ponchos in my bag, so we donned those while riding the monorail and trudged through the flood to get through security and the tapstiles to meet the Hubs and C at the Main Street Confectionary. It was a Tice family MK free for all after a quick dinner at the Pinocchio Village Haus with rides on the Seven Dwarfs Mine Train, Peter Pan, Pooh, Tea Cups, Under the Sea with the Little Mermaid, Tomorrowland Speedway, Buzz Lightyear, and a couple of views of Mickey’s Philharmagic. I’m sure there was more, but it was late and had been a long day as is evidenced by this picture of B on the bus back to the room! This was a very long VERY fun day! And I am so glad I got to spend it with my baby boy. We don’t have much in common, but our love for Disney is one thing we DO have in common. Today is our first day of CC for this school year, and the kids (and I) are pumped! I snapped this picture of them in their first day clothes with their book bags. I am tutoring B’s class which is a fabulous group of 8 kids from first to third grades. They are just the best kids. And C has a sweet tutor as well who is pouring her blood, sweat, and tears into tutoring the class of 4 and 5-year-olds. God bless her! B volunteered to hold the Bible this morning for the Pledge of Allegiance to the Bible, and I just love it! You can read more about Classical Conversations here. Today is our first day of school for the 2016-2017 school year. This is my fourth year homeschooling, and I just can’t believe how old my kids are! B is starting second grade, and I can’t even. He is reading, doing more complicated math, reading chapter books, and starting LATIN this year! I can’t wait to see how he progresses! I am not doing much new with him curriculum-wise. I am sticking with Memoria Press as my main curriculum and supplementing with Saxon Phonics for his phonics and spelling instruction. Memoria Press uses their own Reading curriculum which I love, New American Cursive, Rod and Staff for Math and their own Prima Latina intro to Latin curriculum which I ADORE. It reaching Latin and English grammar simultaneously and I can’t wait to see how it works! And I don’t even know how to talk about my baby starting Kindergarten! She is so exited to be doing “real school” this year. I am using the Memoria Press Kindergarten program with C, and since I still had most of it from two years ago when B was in K, it was easy to piece together the workbooks that I needed to get her through the year. Memoria Press wrote their own “First Start Phonics” program and manuscript copybook for handwriting, and they use their own Numbers Books and Rod and Staff grade 1 for Math. Honestly, I don’t have to do much instruction with her because she has picked up SO MUCH from sitting at the table while I teach B. For the third year, we will be a part of a Classical Conversations community. I absolutely adore this program and how is incorporates history, science, music, art, the works! It is so great! This morning, I made their names and grades in pancakes for a fun breakfast. They loved it, and I think it was an exciting start to the school year! I am so proud of my sweet kiddos! I know we will have an amazing school year this year. C got to wake up the morning of her fifth birthday at the beach. Not a bad way to start the sixth year of your life! We enjoyed breakfast at the hotel and then spent a couple of hours enjoying the pool and splash pad before getting ready for lunch. Mom and I decided to walk down to the beach, but the sand was so uneven it was hard to really walk, so we just stuck our feet in the water, snapped a picture, and headed back to the hotel. We got dressed and packed up and went to lunch at Pineapple Willy’s–one of my very favorite places to eat in PCB. And it did not disappoint. They also brought C a cake for her birthday which she loved! When we got home, Pop and JuJu brought C her birthday gifts–a big keyboard for practicing piano and a divided bank for spending, saving, and giving. She was thrilled.